1. Featuring parota wood, a hardwood native to Mexico and South America. 2. Knots on the solid wood surface are a natural marking that make each piece of lumber unique. Varying wood grain, wood tone and knots also add character to the wood’s appearance without affecting the stability or integrity of the wood. 5. Base is hand-forged iron, rustic industrial look. 1. Solid wood provides durability and quality construction. 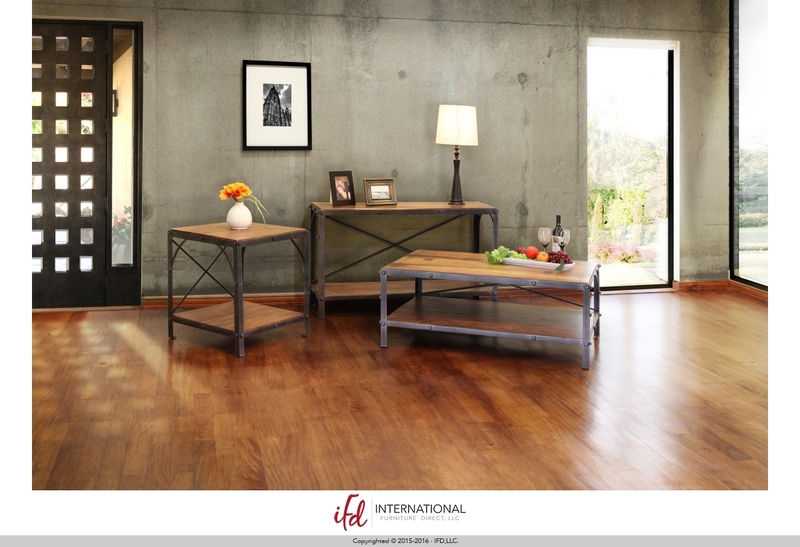 This collection features our IFD signature construction on solid engineered tops.